Washington, DC: In a major victory for the world’s tropical forests, the more than 1.6 billion people that are dependent on them, and the Earth’s fragile climate, global leaders have agreed on a much anticipated package of elements that will unlock finance to reward tropical forest nations for reducing carbon emissions from deforestation and forest degradation (REDD+). Delegates of the UN global climate meeting voted in favor of REDD+ at their November meeting in Warsaw. 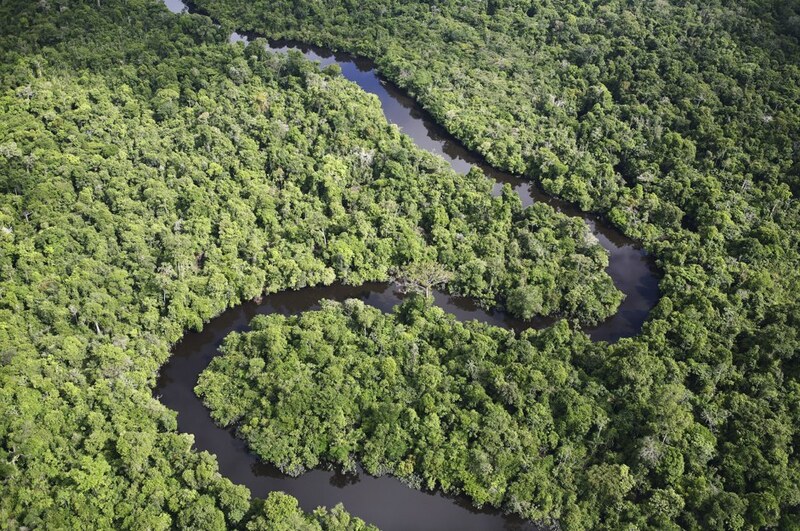 REDD+ will fight climate change by addressing 20 per cent of global carbon emissions – the total caused by forest loss, and more than that caused by all the cars, trains, planes and ships in the world. 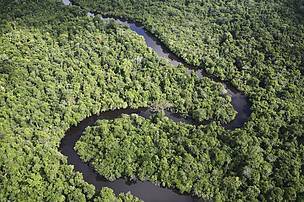 WWF has worked towards realizing REDD+ for many years, engaging both on the ground in the key tropical forest nations of Indonesia, the Democratic Republic of Congo, Peru, Colombia, the Guyanas and Brazil, as well as at the global policy and finance levels. Our work has included working with indigenous peoples and local communities to develop REDD+ readiness activities in areas representing over 15.5 million hectares of tropical forest, and engaging with international REDD+ donors and funders to push for hundreds of millions of US dollars in support for tropical forest nations to prepare for REDD+. Areas of this work and the important lessons learned generated from it are featured in our new report Building REDD+ for People and Nature. “This is a major milestone in the history of conservation,” said Lasse Gustavsson, WWF-International Executive Director of Conservation. “With REDD+ a reality, a global system now exists for tropical forest nations to be financially rewarded for sustainably managing their forests in ways that fight climate change, conserve biodiversity and safeguard the livelihoods of the indigenous peoples and local communities that depend on them,” he said. Parties to the United Nations Framework Convention on Climate Change (UNFCCC) have worked for eight years to build and approve a global mechanism for REDD+. To come to an agreement in Warsaw, negotiators overcame differences on key financial issues such as payments for performances as well as technical issues such as reference levels and monitoring, reporting and verification (MRV). Significant aspects of the REDD+ mechanism that WWF supports include financing for all phases of REDD+ from readiness, capacity building and piloting through to results-based actions; the link between the respect of social and environmental safeguards and access to support; and the development of an information hub through which the results of payments for REDD+ activities will be shared. “This victory for REDD+ was hard fought over eight years,” said Josefina Brana-Varela, WWF Forest and Climate Programme Policy Director and WWF REDD+ representative at the UN global climate meeting. “Inside the global climate meetings delegates have worked hard to put their differences aside to design and agree on key financial and technical aspects of REDD+, while outside others, including WWF, have been working on the ground in key tropical forest countries to build the capacity to deliver REDD+,” she said. To learn more about the outcome of REDD+ at this year’s global climate meeting and the details of some of the key technical decisions, view our free webinar, presented by key WWF REDD+ experts. For more information about WWF’s efforts to reduce emissions from deforestation and forest degradation, visit: bit.ly/WWFforestclimate. Note: WWF made the decision to take part in a mass civil society walkout of this year’s UN global climate meeting in an effort to draw attention to the lack of ambition from attendees on key global climate issues. As part of this decision, WWF placed an embargo on publicly commenting about the climate meeting. This embargo has now been lifted, and for this reason, WWF is now commenting on the outcomes of the global climate meeting, including the realization of REDD+.